Well, the second annual Bajacross event has been put into the books and what a day. The racers started showing up in the cold of the morning and jumping right out on the track for some practice. Looking at the early lap times, we knew right away there was going to be some good racing ahead of us. Having four classes was sure to keep the drivers running tight. The track had short course influence, along with some big jumps. There was a Bristol high bank burm, a wagon wheel corner, a step up and a drop off. The 170’ foot back straight let the Baja’s breath before they were brought back under control and launched in the air. The track conditions held up well, considering what Baja’s can do and have done to many tracks, blow them out bad. With 46 racers, two divisions and two classes, the racers where matched well and the battles kept the crowd using their outside voices. Running two ten minute qualifiers made for a good chance to get a solid idea of where you stood in the ranks. When it all came down to the one hour mains, the teams started to show who had it together and who didn’t. In many scales of racing the pit stop has been mastered, but in the Baja world ideas of the best process still range and some ideas worked and some didn’t. In the end it came down to not breaking your car, a good pit stop and the usual running of consistent laps to win the race. Remember, slow is fast. The program ran smoothly and the day went quickly, the last main event finishing as the sun set, which is nice, it leaves time for that good old fashion bench racing when packing for home. If you hadn’t attended a Bajacross yet, Next time around it’s a must. The out of state guys say the race is well worth the travel. The prizes and give aways where awesome, seeing how the event has the biggest names in the Baja industry supporting it. Last year we had a great turnout with even better competition! This year will be no different, with classes ranging from open 5b – sportsman and expert as well as open 5T – sportsman and Expert. 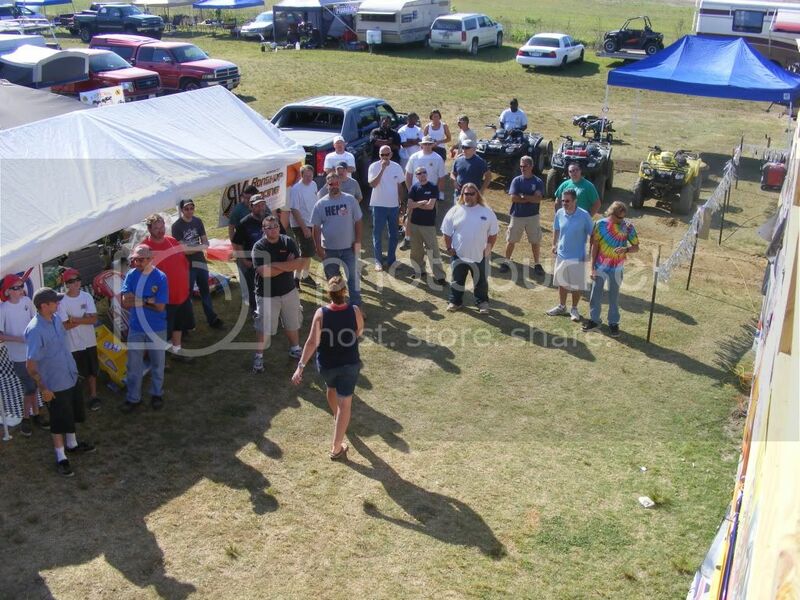 Click HERE to see LSN coverage on the 2009 Baja Nationals held at Milestone RC Park. 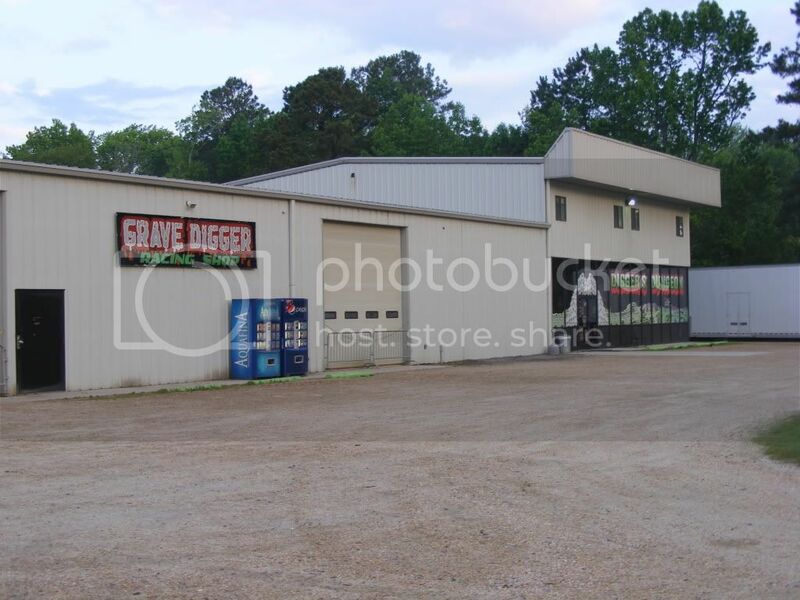 This post will be used to show updates to the racing going on this weekend at the Diggers Dungeon in North Carolina. Newest images and video will be posted on top. If you’re interested in going to this event, get more information HERE. We would like to thank Danny from Rhino Racing who attended the event and captured these great images. See them all HERE. See images from John Schultz and make your own comments on RC Large Scale HERE. 6 9 9 Magana, J. A special note from John Schultz of HPI. And Also the Guys that made it happen!!! And all the guy that jumped out helped! Seems there is an issue with transfering wireless data from the location. We are waiting for more updates now. Looks like we are still having problems sending data from that location. We were able to get the video below from Danny of Rhino Racing. Looks like its giveaway time with all the racers lined up for goodies from the sponsors. He is there on location taking a lot of video and images for us. We will have those posted in our smugmug in a couple days. Here are some images from Gareth of MMR and BZM-Micro. 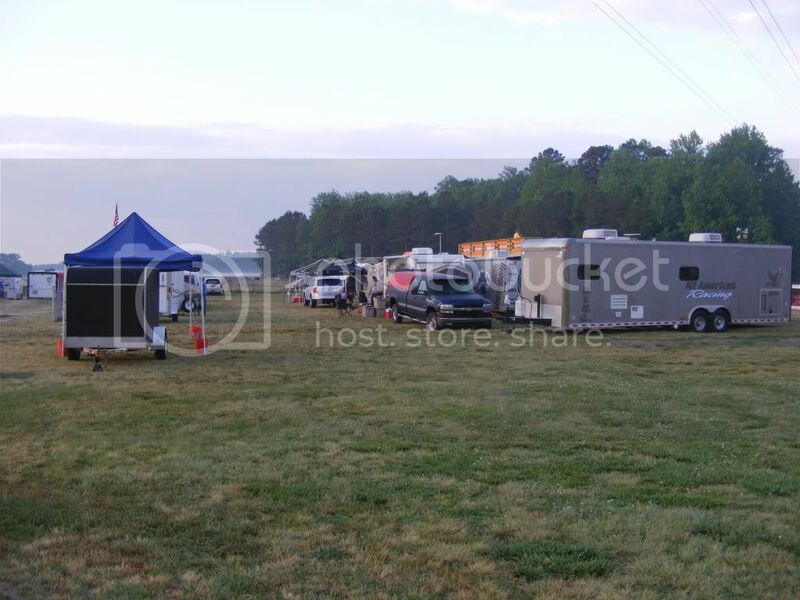 2011 East Coast Baja Nationals – THIS WEEKEND! This weekend is it folks. 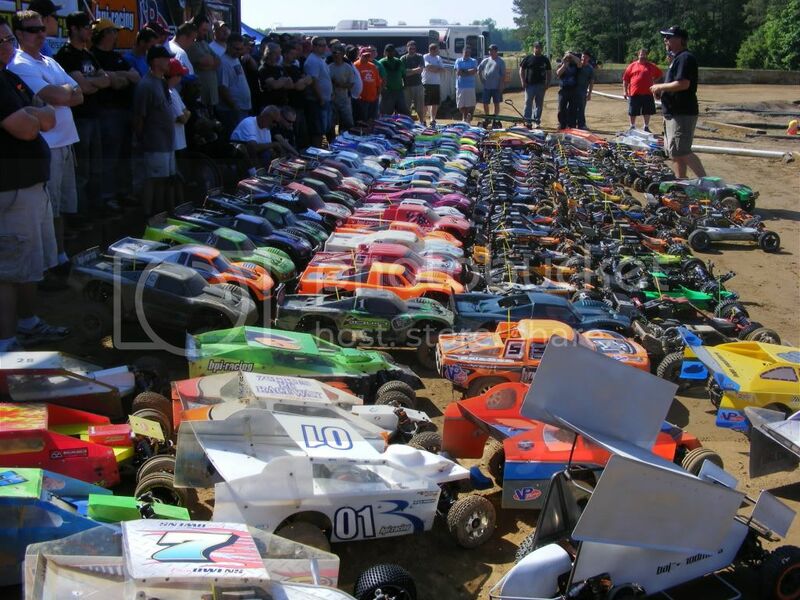 The 2011 HPI East Coast Baja Nationals. The fine people at HPI and Dennis Andersons Diggers Dungeon have been working very hard to get this ALL NEW track ready for the weekend. Take a look at the size of the oval, thats going to be some fun racing for sure. If you’re near Poplar Branch NC then I suggest you head on down and watch some of the most exciting R/C racing you have ever seen. Or grab your 5b, 5t or 5sc and enter to win a LOT of great prizes. Check back on LSN for all the up to date news and media coming out of this event. Our good friend Danny from Rhino Racing will be on location this weekend feeding us images and video of the action packed weekend. Get race information on the HPI site HERE. Continue this conversation and share your own images and videos HERE. Check out some of the updated images coming from John Schultz of HPI. Videos posted by John Schultz of HPI on his YouTube Channel. This one covers all the current sponsors. TGN is a proud sponsor of this great event. 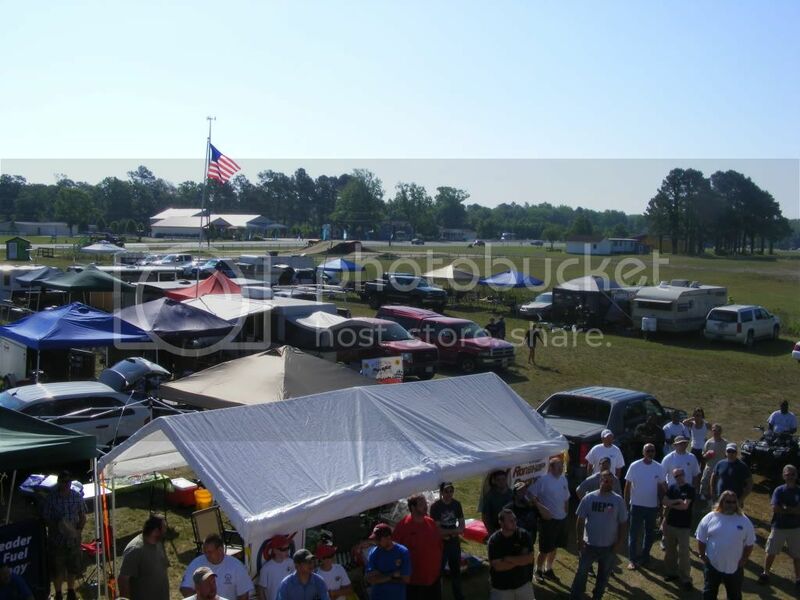 Author Posted on May 17, 2011 May 20, 2011 1 Comment on 2011 East Coast Baja Nationals – THIS WEEKEND! TGN only has ONE of these motors left, the BLUE one. The others were sold before we could even put them on the blog. First come first serve, you must email sales@TGNdistributing.com in order to purchase. You can read more details HERE! These are the HOT new SKOPOD Special Edition High Output 62cc Baja motor and install kit. There will only be 3 made this year all with a different color anodizing (Red, Blue, Black), special engraving, and loaded with all the bells and whistles. The motor comes fully built with our offset v-stack, starter hub and seal, prototype headkit, and KRD mounting kit with throttle linkage. All that is needed to run is your choice of pipe, air filter, stock clutch, then install into your HPI Baja and let the fun begin. If you are looking for the craziest 62 you can find well here it is. This special edition 2011 High Output 62cc engine is loaded with extras from the inside out. The pullstart has been switched out for a custom starter hub and seal, the hub seal shell is based from our billet pullstarts but has no hole for the rope. These are the only three hub seals made this way. The stock chrome fancover has been switched out for a billet version with custom engraving of our super sixty logo and numbered for the limited run. The piston has been relieved at the ring land area and oil slots have been cut on the skirt. The top of the piston is ceramic coated to reflect heat and the skirt has a black Teflon coating to reduce drag and wear. The cylinder has been cut for a head kit and has race porting done by Chris Bartolone. All this is topped off with a prototype Skopod billet head shell and high compression dome that has been anodized then numbered and polished on top of the fins. What does a paved oval, 450′ around and 16 ft. wide with 6 degrees of bank on straights and 9 degrees in corners have to do with Large Scale R/C Racing? EVERYTHING! Sounds like some good scale racing if you ask me. Check out some of images from the Old Cedar Speedway in Maine and you will see what I mean. 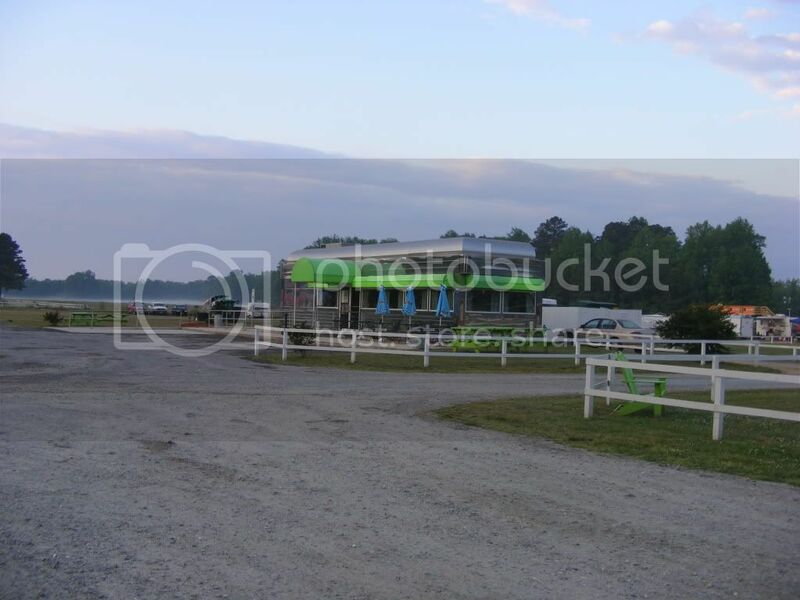 TGN Distributing and LSN have teamed up to sponsor this beautiful track and its events. Even since watching the oval racing at the Hostile Bajafest I was blow away by how much fun going in circles can be. Just watching it was exciting, I have to imagine driving those ovals with the throttle pinned is exhilarating. Oval racing seems to be growing more and more in Large Scale R/C. With the incredible scale bodies from RobShop Racing you have your choice of turing your HPI Baja 5b, 5t or 5SC into a Late Model, EDM or IMCA style oval car. You can get more info on this track HERE. You can read and chat about these races located in Maine in the forums HERE. We are a Family owned purpose built R/C race facility located in Pittston, Maine. The track is 400ft. around 16 ft wide, banked 6 deg. on straights with 9 deg. of banking in corners. As racers ourselves we strive to make this the best R/C experience not only in the state of Maine but in all of New england. We plan to offer a class for everyone. From 8 to 80, newbie to pro you are welcome here! The classes and rules will be better defined once we get our wheels under us and get geared up. For now we are planning on running 1/10 scale 4 cell electric stock car, 1/10 scale nitro, SK Modifieds electric, 1/4 scale gas stock car, and any other we can come up with. I would like to start a class where you build your own 1/4 scale car from scratch……Could be interesting! A Race For A Cure is being put on by our friends at HPI Racing and RC Car Action. TGN Distributing will also be sponsoring the event and sending out a donation to the cause and some goodies for these racers. This is not a large scale race specifically, actualy there’s not even a class for them. BUT, I was told by an “insider” that if a couple large scale guys show up they will make room and allow you to race. So if you’re in the area then grab that 1/6 or 1/5 scale, head on down and show these guys how it’s done. Tell them LSN sent ya! After much success we’ve decided to have our Race for a Cure race again this year to raise money for the American Cancer Society and hope that you can make it to this event. It will be held again at the Goshen Stampede in Goshen, CT where you’ll find a unique racing environment. The racing action is a blast and there’s a lot to do in between rounds. The flyer is below. Sign up now! The 2011 sponsors so far are….. The popularity of the Team Chase Roll Cage has really blown up this past year. People all over the world are choosing to use this cage to increase the overall chassis strength of their HPI Baja 5t or 5sc. Owners also enjoy much quicker access to the vital areas of their trucks and the additional support the body gets in several important areas. The release of the Barndog Aluminum Panels has propelled this “cage craze” even more and we are seeing “naked” bajas being used in racing and backyards all over the planet. Except for a limited edition silver cage for RCX 2011 Team Chase has never offered the cage in colors. To make things simple and allow for custom colors Team Chase is now offering up a dyeable option that will be available from here on out. You’r going to need a large container that you can put the hot dye/water solution in but color pallet is now only limited by your imagination. Show us what you come up with and post a link in the comments. First person to post a link to a colored cage get their choice of a free LSN t-shirt. .Get yours pre-ordered now HERE! Bartolone Racing Carb Needle Clamp can be yours. It’s not often a top contender in any type of racing will give up his or her secrets to success. Let alone offer them to your for your own race car. Well Bartolone racing has done so many times over. For one he builds tuned and ported engines and second he offers up his tuned pipes he runs on his very own cars and trucks. Check out this new product from Bartolone Racing. It’s a carburetor needle clamp that ensures your fine tuned adjustments do not go out of whack from all the intense vibration these motors have. They will work on many types of carbs on all types of large scales including the HPI Baja 5b 5t and 5sc. Get more details and more images HERE! Author Posted on May 7, 2011 May 7, 2011 Leave a comment on Bartolone Racing Carb Needle Clamp can be yours. Hostile Slicks for your HPI Baja 5t or 5SC are coming. The Hostile Slicks are a street and track specific tire. The tread area is very thick offering a longer life and the ability to be grooved for dust or water running. Available in both front and rear for the 5T/SC Baja trucks in soft and medium compounds. The last 2 digits of the part number are the durometer hardness of the tire compound. Author Posted on May 7, 2011 May 7, 2011 Leave a comment on Hostile Slicks for your HPI Baja 5t or 5SC are coming. LargeScale.com has one of the the largest and most professional Large Scale compounds around. If your into racing Large Scale R/C whether is HPI Baja, MCD or any other 1/6, 1/5 or even 1/4 scale then you should consider heading out to the second anual Power Jam 2011. This weekend is filled with all types of events including many non-competitive classes that are just purely for FUN! To get more information or to register please go HERE. Spectator Fee $5.00 This fee covers one entry per person with no return passes. 2wd Buggy Off-Road Race – This event is to include all 2 wheel drive 1/5 or 1/6 scale gasoline powered buggies / truggies. Let’s see the HPI Baja’s and FG buggies race wheel-to-wheel. · Engine – 23cc to 30.5cc gasoline powered only. No restrictions. · Exhaust – No restrictions. · Vehicle Weight – No restrictions. · Tires – Only commercially available buggy tires. Tires may be modified & trimmed by the racer to improve performance. No metal studs or screws. · Bumpers – No metal or sharp bumpers. · Fuel Tank – Must use stock fuel tank. Total fuel line length may not exceed 12 inches beyond stock length. Quick fill fueling systems will be allowed. 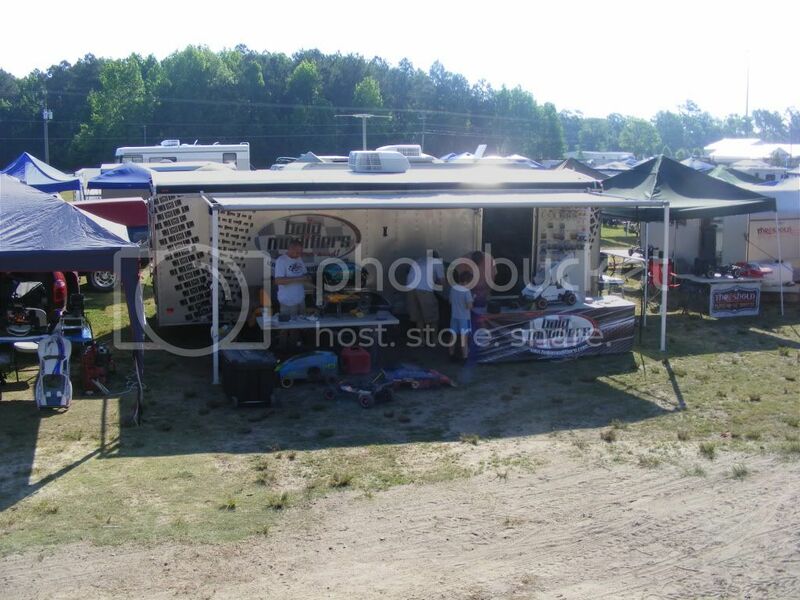 · Event will consist of 2 qualifier rounds (10 minutes) and 1 round of mains (30 minute A-Main). 4wd Buggy Off-Road Race – This event is to include all 4 wheel drive 1/5 or 1/6 scale gasoline powered buggies / truggies. This class will be open to MCD, Redcat, FG, and other 4×4 buggies. 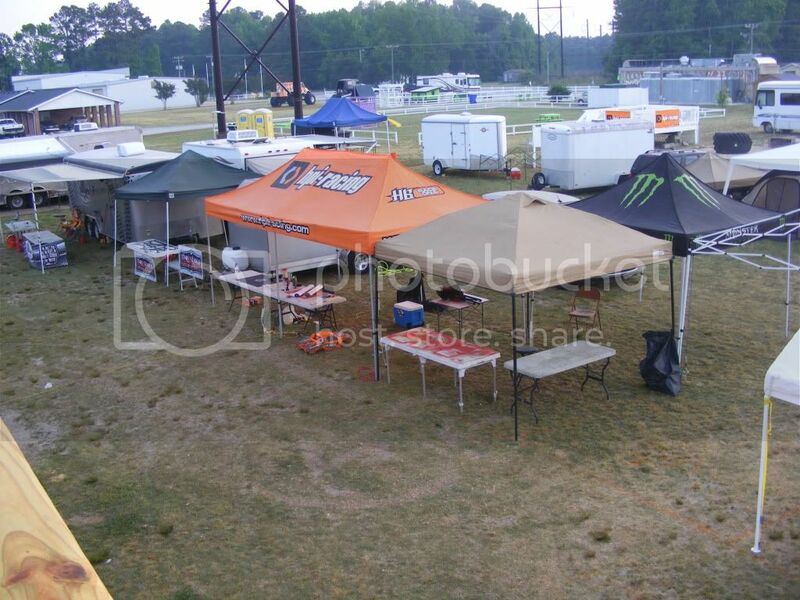 · Event will consist of 2 qualifier rounds (10 minutes) and 1 round of mains (20 minute A-Main). Baja 5SC / 5T Off-Road Race – This event is to include only the HPI Baja 5SC and 5T gasoline powered racing trucks. · Body – Must be stock HPI Baja 5SC, Baja 5T, or Pro-Line Trofeo body. · Tires – Only commercially available tires that are the same size in diameter and width as the stock Baja 5SC / 5T tires and wheels. Tires may be modified & trimmed by the racer to improve performance. No metal studs or screws. Pro-Line Excavator tires will not be allowed in this class. 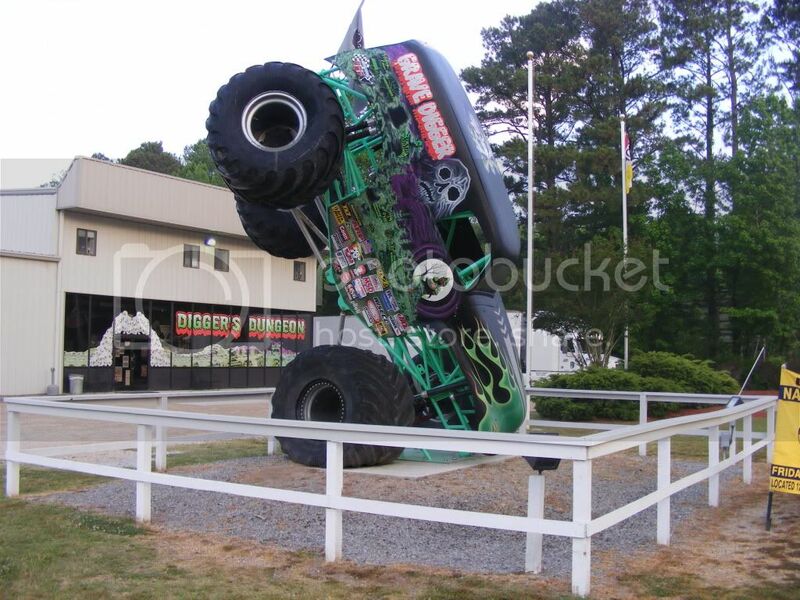 Monster Truck Off-Road Race – This event is to include all 1/5 or 1/6 scale gasoline powered 2wd and 4wd monster trucks. · Tires – Only commercially available monster truck tires will be allowed. 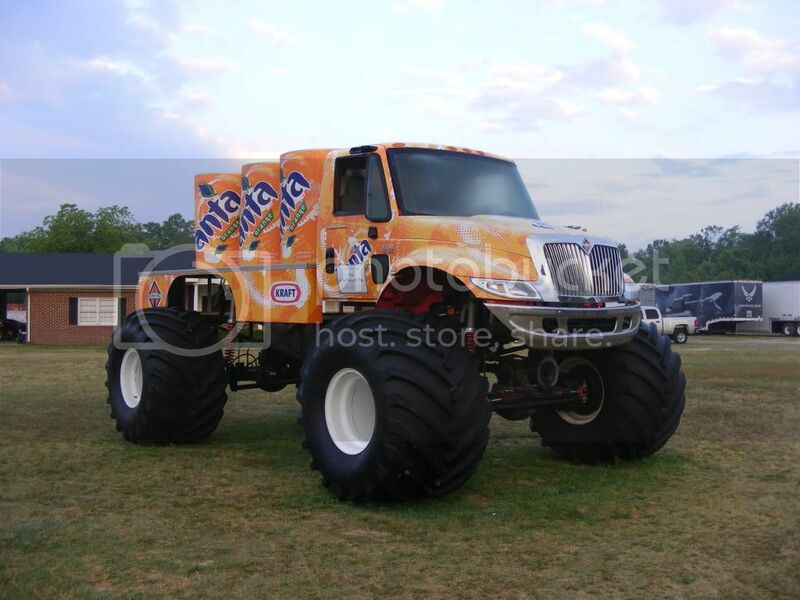 Monster truck tires must be at least 7 inches in diameter and at least 4 inches wide. Tires may be modified & trimmed by the racer to improve performance. No metal studs or screws. 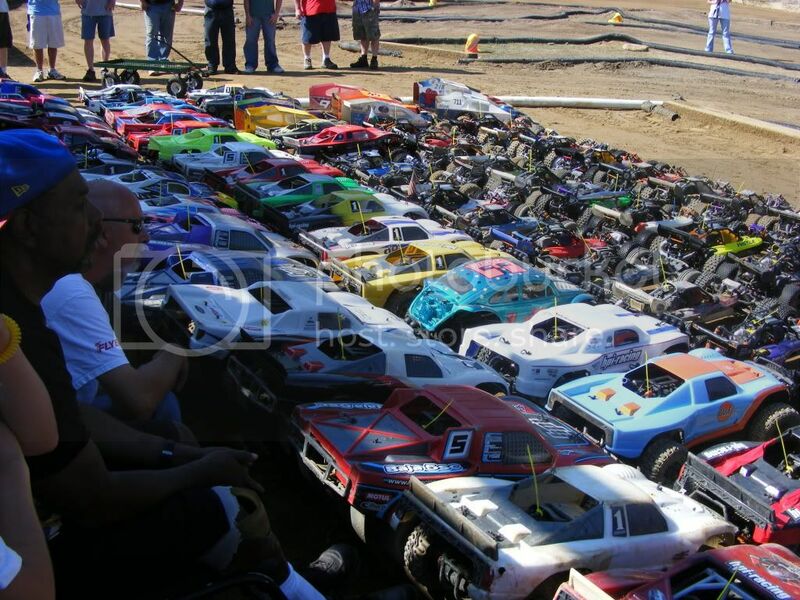 Baja 5 EDM Dirt Oval Race – This event is to include only HPI Baja 5B’s, 5T’s, and 5SC’s fitted with an EDM (Modified) race body made by RCRC Racing. Similar bodies will require approval prior to being entered in the race. This is a high speed oval race where anything can happen. · Vehicle Width – Axle Extenders and lengthened suspension arms may be used to widen the vehicle or create offset, but the overall gain in width from the chassis centerline may not exceed 1.25 inches from stock. · Tires – Only commercially available tires. Tires may be modified & trimmed by the racer to improve performance. No metal studs or screws. · Event will consist of 2 qualifier rounds and 1 round of mains. 4wd Buggy Dirt Oval Figure 8 Jump Race – This event is to include all 4 wheel drive 1/5 or 1/6 scale gasoline powered buggies / truggies. In this event, the buggies will race on the oval track with a crossover in the center of the oval. There will be a ramp set-up so that the cars will jump the intersection and on-coming traffic. This will be an exciting event! Baja 5SC / 5T Dirt Oval Figure 8 Jump Race – This event is to include only the HPI Baja 5SC / 5T gasoline powered racing trucks. 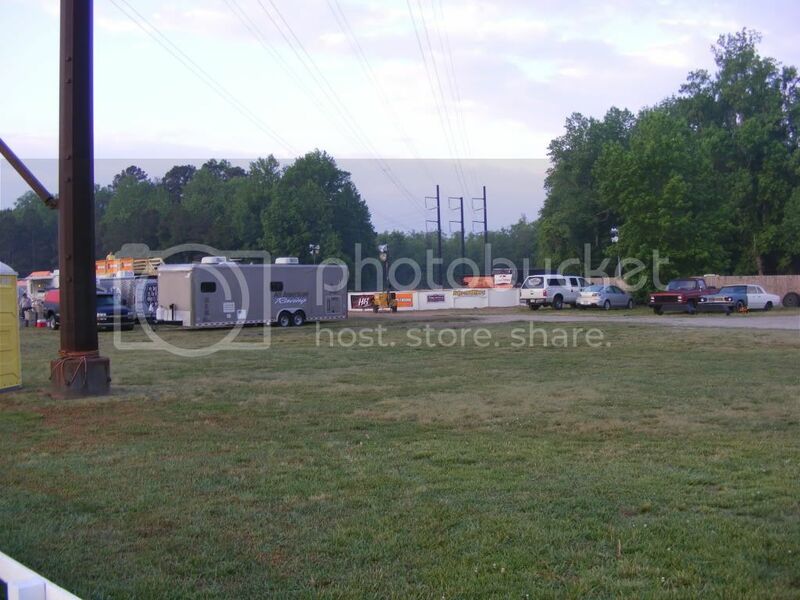 In this event, the trucks will race on the oval track with a crossover in the center of the oval. There will be a ramp set-up so that the cars will jump the intersection and on-coming traffic. This will be an exciting event! · Body – Must be stock HPI Baja 5SC, 5T, or Pro-Line Trofeo body. · Tires – Only commercially available tires that are the same size in diameter and width as the stock Baja 5T tires and wheels. Tires may be modified & trimmed by the racer to improve performance. No metal studs or screws. Pro-Line Excavator tires will not be allowed in this class. Drag Racing – Drag racing is where 2 vehicles line-up on a starting line and take off together to see which car crosses the finish line first. This event will be open to all participants and all classes. The drag strip will be shared with the sled pull track. Sled Pull – The sled pull is to determine how much weight an individual vehicle can pull. This event will have to be planned around the WWPA Truck / Tractor Pulls, since we’ll be using their sled. This event will take place on the drag strip and is open to all participants and classes. Big Gas Bash – This activity will be open for most of the weekend. This event will be open to all participants and all classes. This is a non-scored event that will take place on the Dirt Off-Road Mild Track. Just show-up with your car or truck and drive for as long as you want. This is a great opportunity for beginners to learn to drive with other vehicles on a track and for leisure drivers to enjoy themselves without the pressures of racing. Dare Devil Challenge – This activity will be open for most of the weekend. This event is available to all participants and all classes. This is a non-scored event that will take place on the Dirt Off-Road Extreme Track. Just show-up with your car or truck and challenge your skills for as long as you want. Even the most seasoned driver will find this course challenging. This event will attract extreme bashers and those who want to test the durability of their vehicles. If you like high-flying jumps and major obstacles, then this is your calling. Long Jump – This is the grand finale for obvious reasons. This is where the participants will go all out for bragging rights by attempting to launch their vehicles the longest distance. This event will be open to all participants and all classes. This event will take place on the Drag Strip.